Big news on the second day of VanaFest: Hiromichi Tanaka, the current producer of Final Fantasy XI, is stepping down and will leave Square Enix mostly due to health problems. 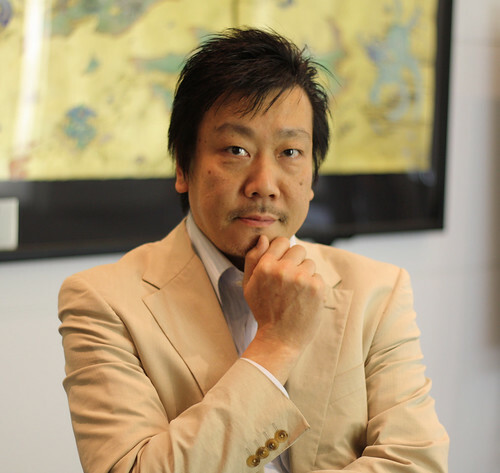 Hiromichi Tanaka started his work at Square in 1983 and was one of the earliest members and eventually headed up Square Enix's 3rd development division. Later he became Corporate Executive Online Business. At Square he worked on games like Final Fantasy, II and III, Secret of Mana, Xenogears and Chrono Cross. Besides producer of Final Fantasy XI he was also producer of Final Fantasy XIV till December 2010 (which was badly received by the fans causing him to step down). Akihiko Matsui will take over his spot as producer of Final Fantasy XI. On VanaFest 2012, a two days event that celebrates a decade of Final Fantasy XI, the 5th expansion has been announced for the MMORPG called Seekers of Adoulin. This expansion will feature Adoulin as new continent in the west of Vana'diel with new area's to explore, new adventures and two new jobs: Geomancer and Rune Fencer. The expansion will be released in 2013 on PC and Xbox 360. Artwork can be found on the official website. Yesterday Square Enix has registered the domain name "finalfantasyviipc.com", which looks like something is happening around the PC version of Final Fantasy VII, which was released back in 1998 by Eidos (which is part of Square Enix since 2009). Maybe the game will receive a digital download via Steam? More info about the domain name can be found here. A magazine scan from next weeks Jump has been floating around the web that indicates that Final Fantasy III will be getting a PlayStation Portable release in Japan. Final Fantasy III was the last game of the series that was ported and released on the Nintendo DS in 2006. Last year the game was also released on iOS. The game will be released on 20 September and will cost 3800 yen, the downloaded version 3300 yen. Update: The release has been confirmed by Square Enix and they have released the first trailer and official website. After the closure of the E3 show floor last night for that day, Square Enix has shared an impressive over three-minute Final Fantasy realtime tech demo of Luminous Studio, their new game engine for the next generation. The trailer that you've just seen, which is called Agni’s Philosophy, is all in realtime, no pre-rendered footage. Yoshihisa Hashimoto, chief technology officer for Square Enix proved that by manipulating scenes in the trailer and showing it again. This trailer is very impressive and makes me excited what's in store for the Final Fantasy series in the future. Time will tell.